I’ve gone through many changes through out my life. Sometimes it’s not a good change. During those times I find myself lost in long periods of darkness and distant from God. Then I snap out of it and realize I need to change again, but for better. Then the world is okay again. Now I try to always change for better. It makes living easier. 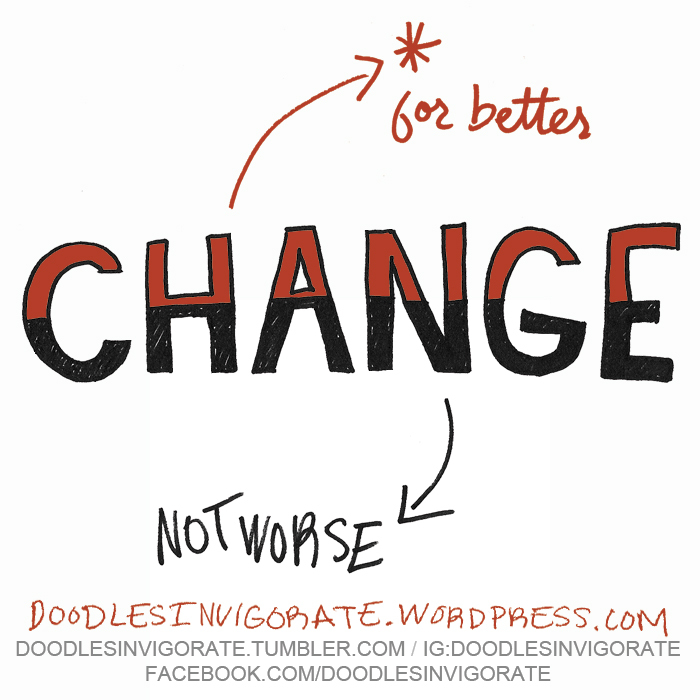 Change for better!